Applied Electronics & Instrumentation Engg. Placements: Training & Placement Cell compliments the efforts of the members of faculty by organizing value-addition programmes and providing placement opportunities to students. It acts as one of the major interfaces with the corporate sector and helps in developing the industry-academia inter-relationship. Training : The Cell organizes certain orientation programmers, grooming sessions, mock interview sessions for students of each stream. Besides, the Cell organizes various summer internship programmers for students to provide them with hands-on experience and introducing them to the professional environment. Student Exchange: The Institute signed an MOU with New Jersey Institute of Technology (NJIT), NJ, USA for a student exchange programme under which the first batch of 20 students had a 6-week training programmer at NJIT during 2008 and the second batch of students are also undergoing training programme at present. Placement : The Cell continuously co-ordinates with various industries and organizations for placement of its students. It has already successfully placed a high percentage of students in industry. It actively obtains feedback from organization and conveys it to respective departments which, in turn, train students accordingly, thereby increasing their hit ratio. The T & P Cell has an excellent record with about 90% of 2008 pass-out already suitably placed in the industry, details of which are shown in the diagram. Heritage possesses sound technical and entrepreneurial wisdom, our students are equipped with the strength & knowledge to bear the process of global challenges. HIT was set up by a group of Kolkata based eminent Industrialists renowned public figures in the eastern fringes of Kolkata. The foundation behind HIT is Kalyan Bharti Trust. The mission of this trust is to promote education, to nourish the students with rich cultural heritage of India. Central library: The library is housed in a large air-conditioned hall of 6000 sq. ft. having a seating capacity for about 250 readers. The Library has a generous collection of more than 43,000 textbooks and reference books on all relevant subjects. The Institute subscribes to a large number of journals, periodicals, proceedings, magazines, local and national dailies which are available for the benefit of the readers. Facilities at the library are constantly upgraded and expanded. Some of the current facilities include – Reprographics, Internet, educational CD’s, Book Bank facility etc. The Library is fully automated with LIBSYS and online public access(OPAC) facility. iii JCCC@INDEST, a customized e-journal gateway and resource sharing platfrom for the members of INDEST – AICTE Consortium, that acts as single point of access to 5,500+ subscribed journals by all IITs, IISc & IIMs and also 800+ free journals from 1300+publishers like IEEE, ASME, ASCE, Elsevier, Wiley, Springer, ACM etc. “Knowledge Packs” supplied by Cygnus Business Consulting and Research provide online access through www.cygnusindia.com to data pertaining to(i) approved Biotech Drugs, Biotech Companies, “Breaking News” type research information relevant to Biotechnology and (ii) various facts and figures related to industry relevant to Management. Hostel: Separate board and lodging facilities are available separately for outstation boys and girls. Seats are limited and allotted on first-come first-served basis. “National Conference on Green Energy and Sustainable Development” is going to be held on 6-7 february 2010 which is being organised by Vivekananda Institute of Environment and management, Kolkata and Heritage Institute of Technology with the support from West Bengal Renewable Energy Development Agency, Kolkata. “Workshop on “Embedded System & VLSI Design” to be held on 04.02.2010 at Seminar hall A from 2.00 PM onwards, which is being organised by ECE Department of HIT. 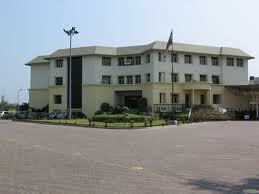 I recently visit this collage,i think,it’s a place,where we can make ourself parfect…Pritam.NTS FUND.